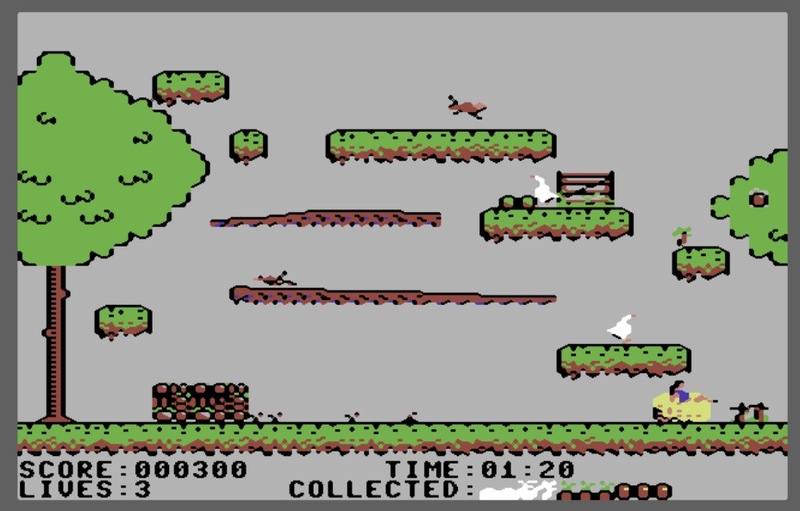 Genesis Project are on form this month as after previously releasing Lawless Legends an RPG proof of concept dungeon crawler for the C64, they then went ahead and released the first preview of ' Sally's Garden Preview +2 ' . Developed by Matthew Clarke, linked and trained by their new member Rhythm, this is your typical platformer whereby collection of vegetables and enemy avoidance is the overall aim of the game. Currently in an early stage of progress, in Sally's Garden you play as a dark haired lady called Sally, and within a certain time frame must collect all the vegetables scattered throughout to complete the level. But not only do you have enemies such as birds and bunnies you need to jump over, there is also a number of collapsing paths that give the game just that extra challenge.